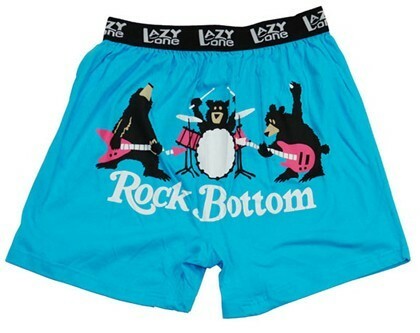 We love fun boxers and this soft 100% cotton boxer from Lazy One is perfect for men or women. The boxer has a roomy fit with a button fly and encased elastic band. "Rock Bottom" print.